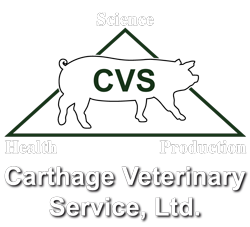 Attila Farkas is a veterinarian with Carthage Veterinary Service, Ltd. (CVS). Attila joined the practice in 2016. 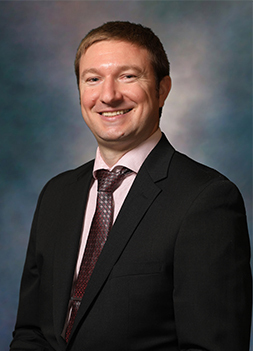 Attila graduated in 2006 with a Doctor of Veterinary Medicine degree from the University of Agricultural Sciences and Veterinary Medicine in Cluj-Napoca, Romania. In 2013, Attila completed 33 weeks of Clinical Rotations in the Clinical Program in the Department of Veterinary Clinical Sciences at Oklahoma State University. In 2014, Attila has complied with the requirements of the Educational Commission for Foreign Veterinary Graduates. In 2015, he fulfilled the requirements of the Texas State Board of Veterinary Medical Examiners and was authorized to practice Veterinary Medicine and Surgery in the State of Texas. In 2016, he complied with the provisions of the Illinois Statutes and/or rules and regulations and became a licensed veterinarian in the State of Illinois. In 2017, he complied with the provisions of the Missouri and Iowa Statutes and/or rules and regulations and became a licensed veterinarian in the States of Missouri and Iowa. He holds professional Veterinary Licenses in Romania, Texas, Illinois, Missouri and Iowa. He holds professional Veterinary Licenses in Romania, Texas, and Illinois. Attila is certified through the National Pork Board’s Pork Quality Assurance Plus Program and is a member of the American Association of Swine Veterinarians, American Veterinary Medical Association, Texas Veterinary Medical Association and Romanian College of Veterinarians.